Mice are some of the most elusive and difficult to catch critters that commonly invade homes and businesses in the Dallas area. Because of their ability to remain hidden, it’s often easier to look for signs of an infestation than to find the mice themselves. Any scratching or footstep noises coming from your walls and ceiling, or unusual foul odors can indicate a mouse infestation. Fortunately since mice are such a common issue in the area, we have been able to refine our techniques to provide the most effective solution possible. If you suspect an infestation of mice in your home or business, it’s best to call a professional instead of trying to handle the problem on your own. 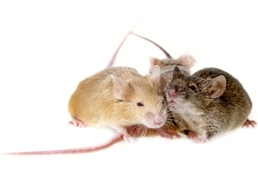 Mice reproduce at an alarming rate, and carry diseases easily transmitted to humans. Critter Control of Dallas is proud to be your total solution for mouse infestations. We start by identifying how the mice are entering your home and what they’re using for food, and once we know that we work to develop a plan that works for you. Once the infestation has been dealt with, we are able to seal up any holes or entry points to prevent a repeat incident. Your safety and satisfaction is our number one priority at Critter Control of Dallas. If you suspect that mice have taken up residence in your home or business, don’t take matters into your own hands. Call the experts today at 817-222-1101 or fill out a Contact Us form.